The Twister T6 is a revolution in home trimming and automation. The radical new small-capacity tabletop design allows for quality, hand trim-finished trimming speeds of up to 4 lbs/hr dry, 20 lbs/hr wet, right from the comfort of your own home! Trimming and removing plant foliage during harvest is without a doubt arduous, incredibly time-consuming, and a profit killing nightmare for commercial growers. A trimming machine will reduce trimming time from days to hours, provide a safer work environment, and allow you to focus your attention on more important matters. Whether you need a commercial size trimmer that can replace several people or a lightweight trimmer that you can easily take on the go, we have you covered with the best deals on top of the line trimming machines. How do you trim buds? The size of your harvest will be the main factor in how you decide to trim your buds. Hand trimming will usually generate a higher quality final product, due to the ability to surgically remove all excess leaf and plant material. This is not always feasible, though. Larger harvests can take weeks to trim by hand, and can kill profits rapidly. To get the job done efficiently, use a trimming machine. These can turn trimming time for weeks to hours! What is the best bud trimmer? The best trimmer will depend on the size of your grow and your budget. There is literally a trimming machine for every grower, and some of our favorite brands are CenturionPro, Twister, and Triminator. For a full list of the Best Harvest Trimming Machines of 2018 and 2019, check out this review we did! There are a lot of different ways trimming machines work. You’ll have automatic and manual machines, along with different mechanisms the machines trim the plants with. You also will have the option to trim wet or dry with many of the machines we offer. Trimming dry is the recommended method for the best quality end product, but wet trimming is great for speeding up your harvest process. This means they all come with their own pros and cons, so let’s find the one that will work best for you. Do I trim buds before drying? You can trim your plant's buds before or after drying, but you will need a trimming machine specific to wet or dry plant matter. Dry Trimming Machines trimming dry is our recommended way to trim. Allowing the flowers to dry on stem is by far the best way to preserve the amazing smells and tastes that the flowers have. Different trimming machine options - dry trimmers come in various styles and sizes for any application. From tumble style to buckers. A dry timmer for anyone. Closer cut than wet trimming - After the flowers have dried, the cut will be closer since there will be no additional shirking due to moisture content. Better quality trim - dry trim will be muh better to use for extracts over wet trim. Takes a bit more space since you will be hanging the flowers from the stem to dry. Not much of a con in our option. Wet Trimming Machines trimming wet is going to allow you to trim more and save some space since you will not need to hand flowers on stem whil drying. You will just cut off the flowers, put in tumbler and hve them dry on a drying rack which allows for more condensed drying. Great for commercial growers - trimming wet allows for you to get more done, faster. Saves space - you can fit way more on drying racks to dry instead of hanging from stems. Not the best trim quality - due to the trim being cut up when wet, the chlorophyll breaks causing a wet grass smell. Not great for concentrates. Tumbler Style Trimmers are the most popular style of trimmer you will come across. They work by rotating the flowers around in a cylinder tube allowing for a close trim. We recommend the Twister Trimming machines because of the research and development the company has put into their machines. They are made for production and can scale by place multiple units inline and adding feed conveyors. Incredibly fast trimming – Depending on the model you get you can trim up to 45 lbs/hr wet and 16 lbs/hr dry. Trim both wet and dry with the change of a tumbler. Its unique, scalable engineering allows for back-to-back tandem use to notably boost productivity, comfortably accommodate large batches and allow for operational growth. Bowl Style Trimmers are usually manually operated with a hand crank that moves flowers around in a bowel allowing them to come in contact with blades. We do offer automatic versions for heavier trimming demands. Control speed – You control the speed with a hand crank. Very affordable – Bowl leaf trimmers provide a nice middle of the road option for both efficiency and cost. Close smooth cut – This may remove too much material for some. Recommended for dry flowers only – Visible stems must be removed, and if done before drying, the flowers may dry out too fast. Stand Up Trimmers are operated by manually slowly moving the flowers back and forth over a grate with a fan running underneath catching any material that passes through. Control speed – The blade with spin automatically, however you control the speed you move the plant over the blade. Gloves are recommended – Some may be uncomfortable with getting their hands so close to a moving blade as gloveless fingers can fit between the holes in the grate. Dry trimming only – When leaves are dried too much they curl into the flower making it hard for the fan to catch them. Bag Style Trimmers are operated by placing the flowers in the bag and rotating the bag in different directions. Control – Bags are always manually operated/spun. Lightweight and compact – These can easily be folded and condensed taking up little space. Affordable – Bag trimmers are very cost effective, but they still do a great job and are built to last. Flowers can break apart – All the shaking can break bigger flowers into smaller ones, however, they usually will not fit through the grate that separates the flowers from the trimmings. labor-intensive – You’re rotating a large bag around and this can feel a bit like an exercise. Electric Handheld Trimmers are great for removing a lot of plant material without smacking the flowers around, but it’s easy to get carried away and cut into the flowers. Electric trimmers are perfect when you don’t need a super close cut because they are fast and very affordable. Control – With some care, you will not lose any more pollen or plant material than you would with hand trimming. Faster than hand trimming – You jeopardize a close cut for speed, but many growers prefers these to remove 90% of the leaves and finish the rest off with a quick hand trim. Difficult – If you’re not careful you may end up taking off flowers or cutting them in half. It’s easy to go too fast. Destemers/Bucker Trimmers are a super effective and a fast way to remove stems. They work by feeding the stems with the flowers attached, through a small hole that pulls the stems though while leaving the flowers behind. Fastest stem removal – It removes stems completely within a blink of an eye. Expensive and only removes stems – You will have to trim with another method and as such you usually only see large commercial operations using them. Many commercial operations wouldn’t be caught dead without a trimming machine. While they come with a high initial cost, you will quickly make up the difference in cost through processing time and manpower needed. Hand trimming equals loss of profit and there is no way around it. Many of trimming machines we offer come with long warranties, can process both wet and dry flowers, and can trim several pounds of plant material in one hour. For our commercial growers we offer two trimmer types: tumbler and bowel, and we have a nice selection of both batch and continuous feed machines. If you’re a gardener that harvests multiple plants at a time without any help, then trimming is a nightmare that’s constantly on your mind. It can be difficult to justify the cost of a trimming machine when you’re only growing for yourself, so that’s why we give you a lot of options that range from affordable trimmers to bigger guys when you want to up the ante and spread out your green thumb. Here, you’ll find smaller handheld electric trimmers along with bowel/bag and tumbler styles as well. Hemp is a crop usually grown on large plots for industrial purposes, and harvesting it can take weeks. Using a commercial grade trimming machine to harvest your hemp will greatly speed up the process! 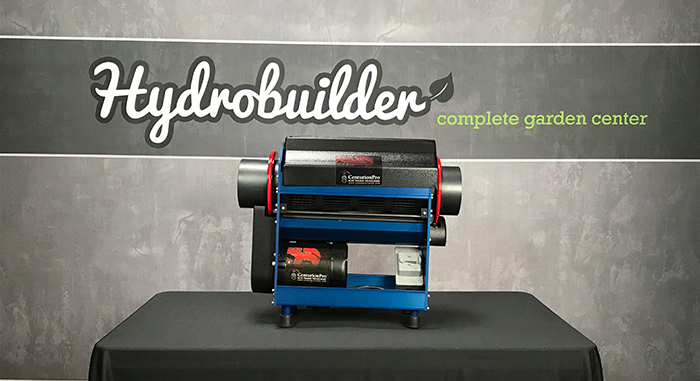 Here at Hydrobuilder, we carry a number of hemp trimming machines to speed up the process of your harvest, getting you a faster ROI and saving you money on labor! Want to learn more about harvesting your plants? Head over to our learning center, where we have a number of articles on trimming, extraction and storage of your buds! Not sure which trimming machine is right for you? Our expert growers are available at 888-815-9763 to answer all your questions!